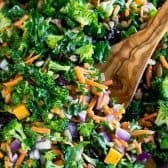 This easy kale salad features fresh veggies and a super simple homemade lemon dressing, making it perfect as a healthy side dish or light lunch! It is definitely one of my very favorite kale salad recipes! Here we’re making a quick and easy kale salad recipe, perfect for the weather we’ve been having lately! 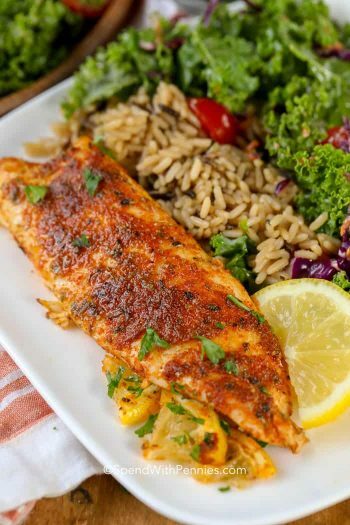 It’s fresh, delicious, and totally make-ahead so feel free to prep this bad boy the night before and pack it along in lunches the next day if you’d like! Really, it’s one of the best kale salad recipes around! I mean, who doesn’t like kale salad with cranberries and almonds?? I love how I can prep ahead of kale quickly over the weekend and know that I’ll have it on hand as a salad green all week long. Instead of simply prepping what I need, I always massage the entire bunch of kale and keep it in a baggie in the fridge, meal-prep style. Kale actually makes the ideal prep-ahead salad and sandwich greenery because of its ability to hold up like a champ in the fridge! It stays fresh without wilting long past its leafy counterparts. Leftover kale can be stirred into pasta, blended into pesto, and even baked into crispy kale chips if the craving strikes! The possibilities are endless. I even love a little kale on my pizza when I have it handy. Is kale good in a salad? It’s so crazy versatile! 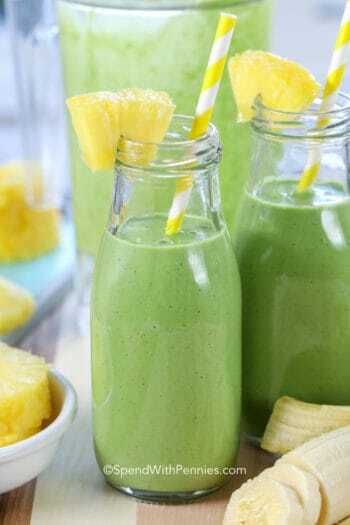 I also love using kale to make a tasty Tropical Mango Kale Smoothie– SO GOOD! If you’ve asked yourself how do you soften kale for salads, we’ve got you covered. After washing and drying your kale, remove the ribs/stem from each kale leaf. Tear or chop the kale into bite-sized pieces, then sprinkle with a pinch of salt. Next pour a little olive oil in your hands and work your way through the kale, massaging the leaves until they darken in color and tenderize. 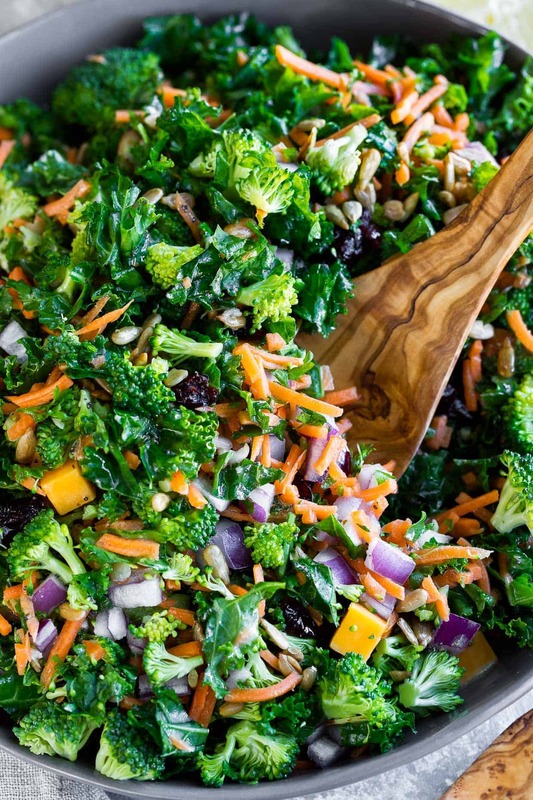 I swear that a massaged kale salad tastes a million times better – we wouldn’t prep kale any other way! Prefer to massage your kale without oil? Try a little fresh-squeezed lemon juice instead! 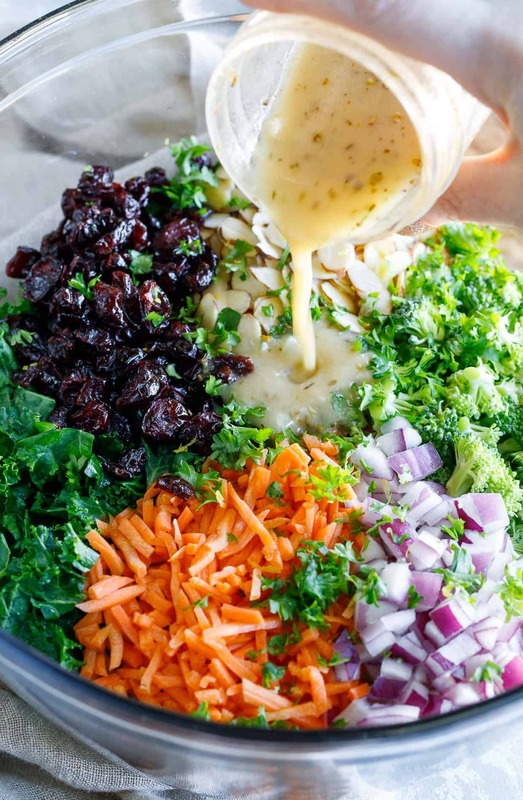 This easy peasy kale salad with cranberries is loaded with tasty mix-ins. 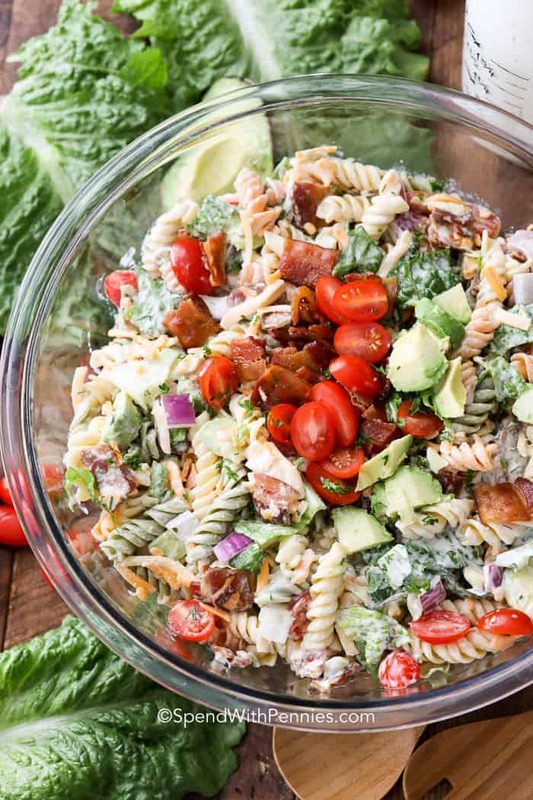 There are so many kale salad ideas! 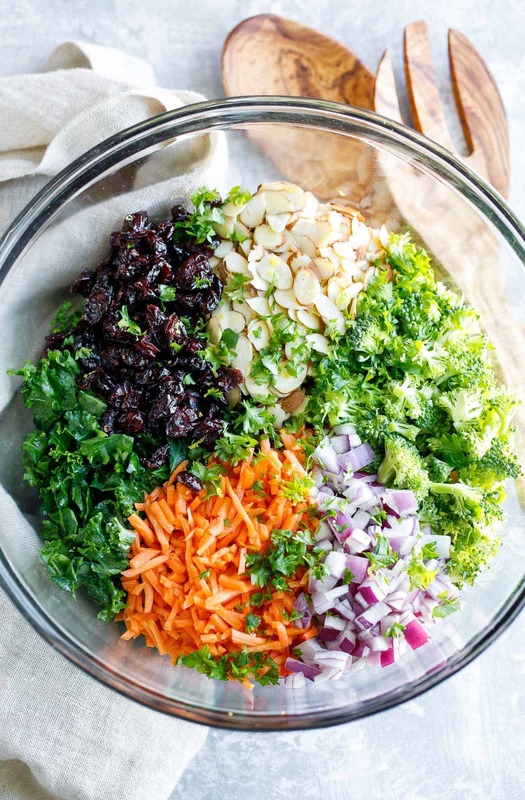 I chose to add carrots, broccoli, red onion, dried cranberries, cheese, sliced almonds and sunflower seeds, but you could totally get creative here and empty out your crisper drawer! 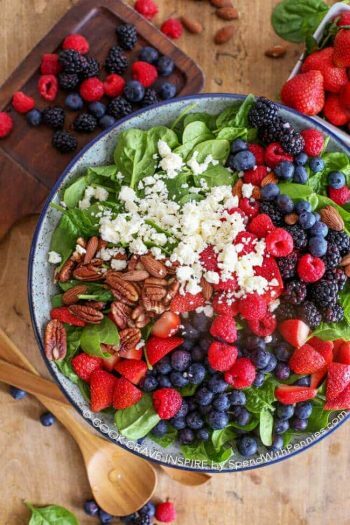 Raisins would work excellent instead of the cranberries, and if you’re not feeling the fruit right now, load your salad up with extra veggies instead! 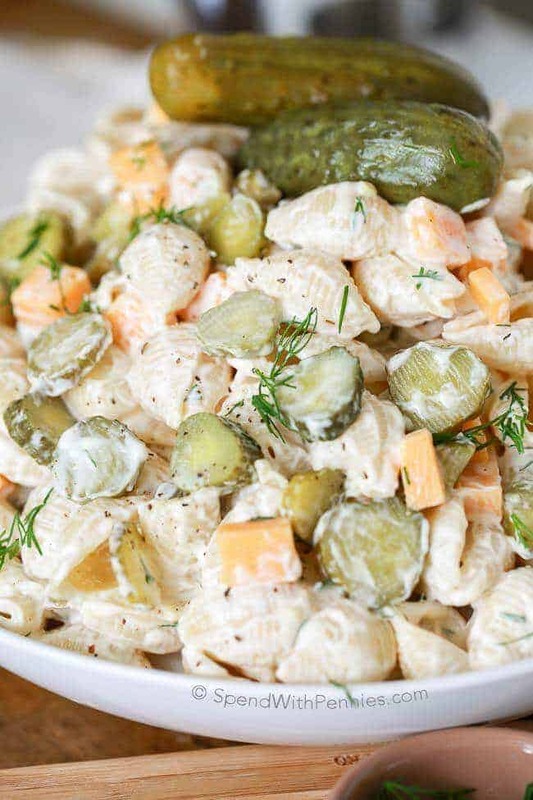 I used cheddar cheese here (a favorite salad mix-in of mine!) but feta or goat cheese would work marvelously too. 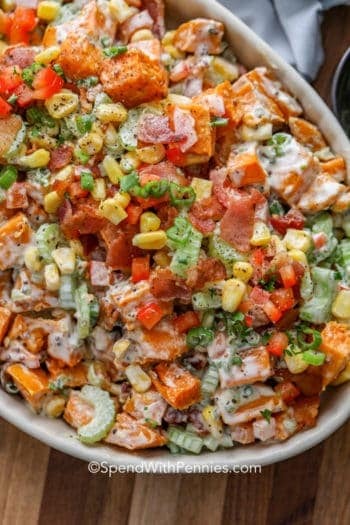 You could even go dairy-free and make this scrumptious salad vegan! 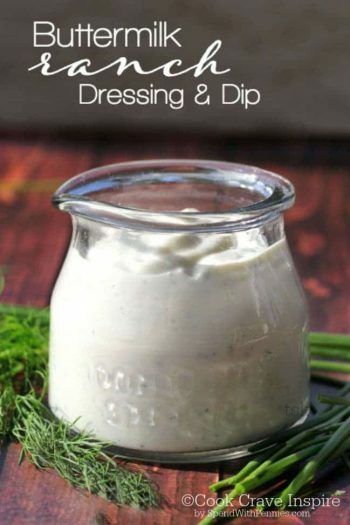 First make your dressing by combining ingredients above in a lidded mason jar then shake well to emulsify. Dip a kale leaf in the dressing and adjust sweetener, salt, and pepper to taste. You can make this dressing as sweet or tart as your heart desires! 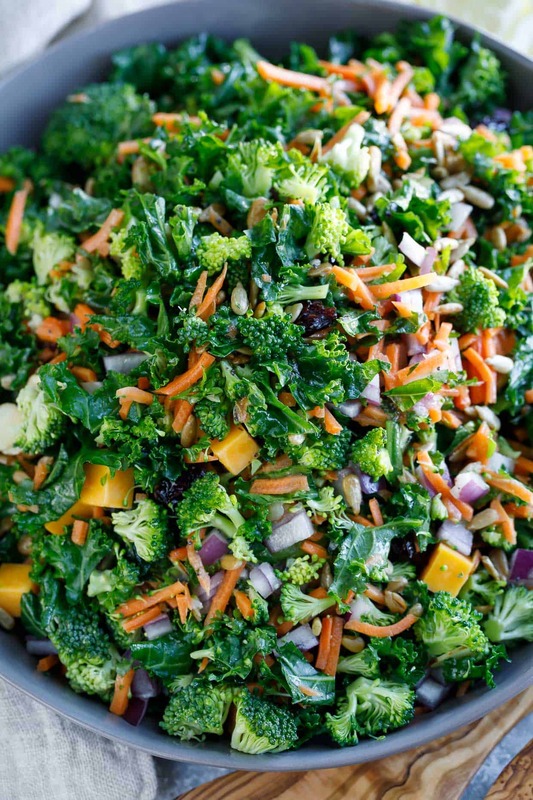 In a large bowl, combine massaged kale, broccoli, almonds, cheese, carrots, onion, sunflower seeds, cranberries. Shake your dressing once more and pour about 1/3 of the dressing over the salad. Toss to coat and add extra dressing, to taste. Optional: I like to add poppy seeds to my salad dressing on occasion to give it a lemon poppyseed vibe - feel free to follow suit! Jenn is the blogger and hungry hungry hippo behind the food blog Peas and Crayons. Her recipes are all about making veggies fun and delicious! Easy eats range from light and healthy to excitingly indulgent. There’s something for everyone! This Boston-born, Florida-raised military mama currently lives in sunny Pensacola, Florida. She follows her pilot wherever his career may take them with their feisty four year old in tow. 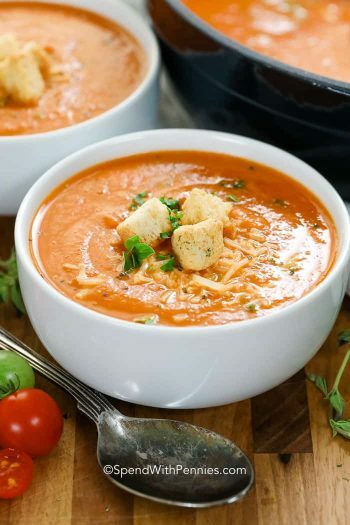 She loves creating recipes and dreaming up new ways to make veggies taste great and totally crave-worthy!